The MCAS Yuma 2nd Annual Telegraph Pass Challenge will return in 2019! This is the premier event for mountain bikers and runners. Participants who choose to do both the bike and run will start cycling and then make their way up and down Telegraph Pass on foot. 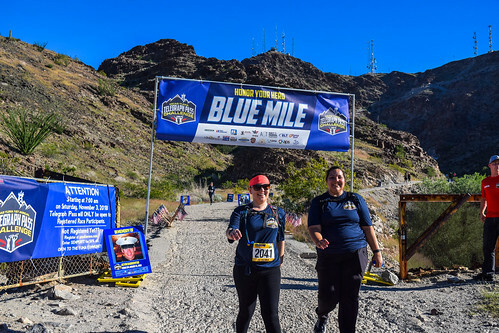 The course will include a Blue Mile, which is a portion of the challenge with a moment of silence to honor and remember our fallen heroes of the Military, Police, Fire and Border Patrol. The bike course will head off the main trailhead of Telegraph, head west, and loop around to merge with running course on the east side. Runners will run to the top of Telegraph and loop back down the mountain and finish at the starting point. Only participants with race bibs will be allowed to access to course the day of the event. This event is open to the Yuma Community!